Many folks in the 63 Squares Crochet Along have had difficulty with the trinity stitch, which is pattern stitch #6 in the booklet 63 Easy-To-Crochet Pattern Stitches Combine to Make an Heirloom Afghan, Leisure Arts #555. I quickly threw together this tutorial. I hope it helps! If you have questions please contact me. 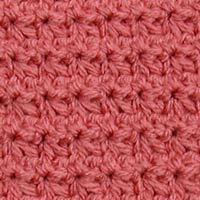 Please note: Some patterns say to to do a row of sc first and then start the next row with the trinity stitch. 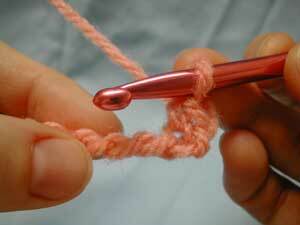 The 63 Pattern Stitches booklet starts the Trinity Stitch on the first row, so that is what I have shown here. 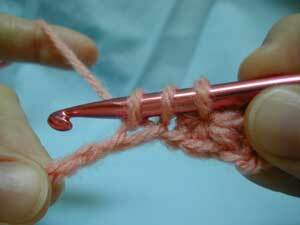 But the same instructions I give would apply if you did a row of sc first — you would just be crocheting into the scs instead of the chains. 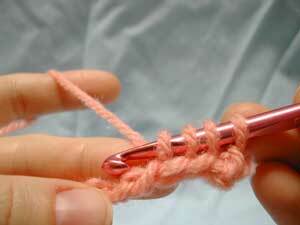 Chain desired length in multiples of two. 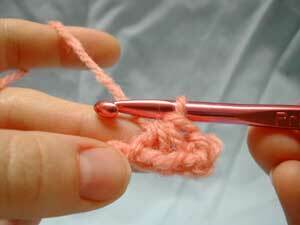 Single crochet in second chain from hook. 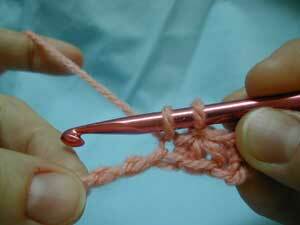 … draw up a loop. Now you have 2 loops on the hook. 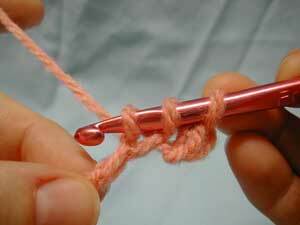 Insert hook in next chain and draw up a loop. Now you have 3 loops on the hook. 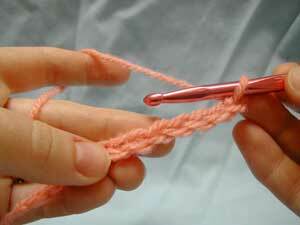 Again, insert hook in next chain and draw up a loop. Now you have four loops on the hook. 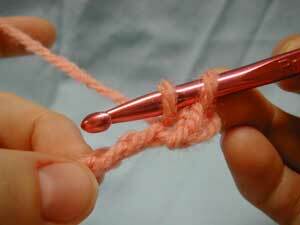 … draw through all four loops on hook. and draw up a loop. Now you have 2 loops on the hook. after you have drawn through all four loops. 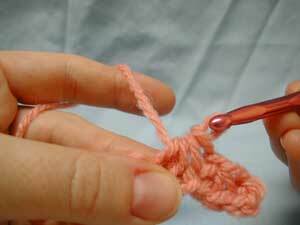 Continue in the same manner to end of row: *Ch 1, insert hook in same ch and draw up a loop, (insert hook in next ch and draw up a loop) twice, yarn over and draw through all four loops on hook* to end of row. Sc in the last chain (this will be the same chain you last drew up a loop in). 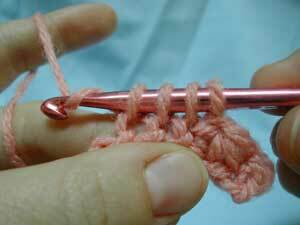 The second and subsequent rows are worked the same, only you will be working into the stitches of the previous row rather than the starting chain. Row 2: Ch 1, turn, sc in first st, insert hook in same st and draw up a loop, (insert hook in next st and draw up a loop) twice, yarn over and draw through all four loops on hook. 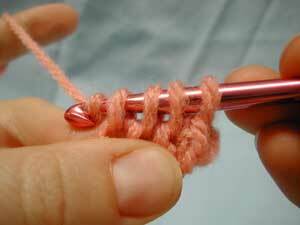 *Ch 1, insert hook in same st and draw up a loop, (insert hook in next st and draw up a loop) twice, yarn over and draw through all four loops on hook* to end of row. Sc in the last st (this will be the same st you last drew up a loop in). Thank you so very much….yes, I was having problems with this stitch, maybe the editors of the booklet can clarify or use a visual as you have done. Thank you. Hi Donna! 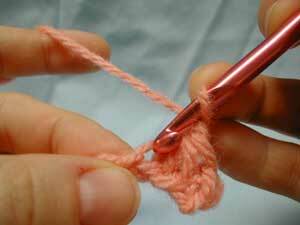 I have done this stitch, and I really was able to do a good job with your instructions. 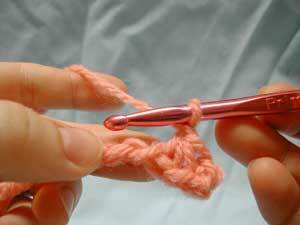 I am still in the 63easy to crochet, now on No. 51, Star Stitch. I am doing something wrong. I do not think this is a good instructions book. I need help. I know if I did the trinty, I should be able to do this. Help!!!! Thanks. The part that is confusing me is the part where it say to “insert hook into last 2 loops on left side and poll up loop. I feel like I’m doing this right, but it does not look right. This tutorial is easy to read and understand. 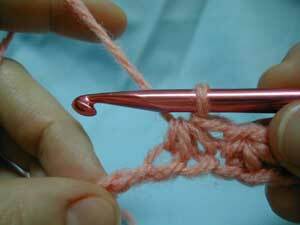 Sometimes when I am reading out of a book the directions given on certain stitches aren’t that easy to read. How refreshing. I agree with Pat. Invaluable!!!!! Thank you, thank you, thank you! 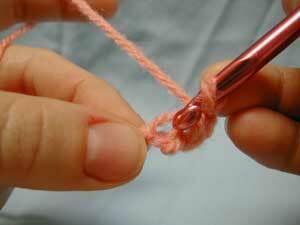 I tried to figure this stitch out for 2 days. I even had a friend helping me. I could not have done it without your help. Bless you. I agree, this tutorial is invaluable!!!!! I have recently started the 63 square afghan and the instructions for the trinity stitch are not clear. Your tutorial was extremely helpful and I thank you. My name is Sue, I’m from Niagara Falls, Canada. My problem being is I’ve seen a copleted aphgan at someone’s house and the woman who crocheted itis says, it’s called, she has not been able to locate the pattern, might be Red Heart not sure, it looks like rows upon rows of popcorn stitch, crocheted with baby yarn, not sure, she said years ao she made them for everyone, I am now unablt to see this aphgan thoguht I might be able to count or firgure out what the stitches were and how many. I’m taking this chnace that someone on this site may be able o help locating such a pattern, it’s an aphgan there is not a soul hhow knows what it could be. this aphgan is stuck in myhead, now I’m determined to find somoen thta may be able to help. thank you for the pitchers that showed how to make the trinity step by step. wow! i never knew about this site. i can’t believe there were other folks having the same problem with the same pattern! Thanks so much! I’m really glad I found this tutorial! Thanks so much! 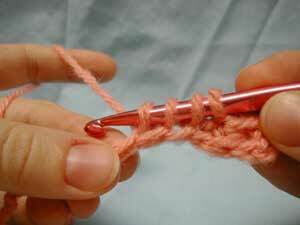 I’ve been trying to figure this stitch out for a few days and wasn’t able to understand the directions. Your instructions and pictures were very helpful! This visual was exactly what I needed. I’m really enjoying learning the new patterns. I too was having trouble with the trinity stitch in the Heirloom Afghan. I was thrilled to find some many others were working on the same project. Your tutorial was wonderful. Thank you so much. This was a great help. It just isn’t easy to figure out in the book. This clarifies it very well. Thank you! Shouldn’t it be ch however many, sc in second st from hook, *sc 3 together, ch 1* rep to end, sc in last st, ch 1, turn? If you don’t ch 1 after sc3tog, you’ll be decreasing by one every time. El, I have included the ch 1. You will see it above the 9th photo as well as in the repeat instructions below the photos. However, I see that I did forget the “ch 1, turn,” at the beginning of the second row. I’ve corrected that now in red. Any pointers on the Chevron Relief Stitch? I can’t seem to get that right at all! Thanks!